Valentina Kirlian.By 10 years, the couple developed investigations with the "electrography machine" and they arrived the conviction that the photographed reflex reflected the good or bad health condition of the physical body.What was confirmed later, among other usefulness, after careful observation of biologists,biochemical and Russian physicists. In fact a lot before the couple Kirlian begin investigations with the electrography, researches and studies already existed with electrographics images that it was obtained in 1777, for the German physicist O. C. Lichtemberg. These images were obtained by the mobilization of fine powder. These images could only be well recorded then, with the help of the process–"Daguerrotipo", (Jacques Daguerre, French inventor 1787-1851), to leave of there the stones the of the road was rolled, for who had courage and brilliant idea of continuing. In the final of the century XIX, the result of these researches was known like " "EFLUVIOGRAFIAS ", the " efluvistas " as they were called at that time, they were led by a called French doctor Henry Baraduc. This doctor developed studies and researches together with his team. During many years when Baraduc and its team worked in Paris, a doctor and physical, in polonia, lodko-Narcovitz, had been making experiences with its own version of electric picture. The two inventors ignored the existence one of the other, until that met later. In the middle of 1892, they appear the first eletrographics registrations using a electroluminiscent phenomenon, but they didn’t have continuity. Narkovitz dies in 1904, leaving a great creative work, in one moment in that the investigations began to impress the scientific world. But, in the same time, on Oceano Atlantic's other side, in the South of South America, other cientist finally defined, which the "efluvists" was seeking and as they should seek, the vital force, as they called, but still totally indefinite and incomprehensible, to the that the Brazilian scientist defined and what he called "Perianto'. 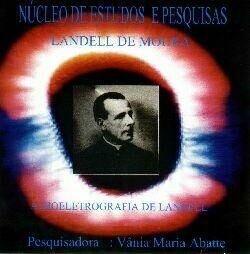 This Brazilian cientist, was a Catholic priest, called Roberto Landell de Moura. Landell de Moura, went beyond of his German, French , Poles, Russian, colleagues, because he had deep physics knowledge, chemistry, biology, philosophy, psychology, parapsychology and medicine, and beyond, of a deep religious feeling. Roberto Landell de Moura, had knowledge mainly of the electromagnetism energy, of the which went besides his time, so much that was the precursor of the wireless telegraph, of the wireless telephone, and the radio wave emitter, of a first project of a television transceiver and of the "Kirlian photo", likewise denominated years later. Today deservedly should be called and recognized scientifically as "Landell effect " or "Landell-Kirlian effect"in the worse hypothesis. Between many and other inventions, everything this among 1890 to 1907. Landell of Moura discovered in relation to subtle energy and the "bioplasmátic body", are it that almost in the totality it is known on the subject, in the days of today. But, unhappily, who knows this great cientist's unjust and afflicted history,knows very well, that he didn't obtain the due recognition nor such little support of none of its inventions and discoveries, on the contrary, he just did with that increased its nut fame and of having pact with the demon and other stuffs, of the his contemporaries, ignorant minds. He passed away in 1928, without being recognized, and later to drop in total forgetfulness. Thirty two years then, that Roberto Landell de Moura had discovered the "bioplasmátic body", or the Perianto, as he entitled like it, the Russian couple "Kirlian", through the same principles of Landell, they discover the effect and they receive the glories. The electrográphycs machine calls herself now," Kirlian machine" and the effect that photographed is the Kirlian or Landell effect? Below we transcribed in the entire, the notes of Landell de Moura, relative to PERIANTO, these notes were transcribed directly of the famous" NOTEBOOK A", a type of notebook of annotations writings of own fist, of experiences and observations of Landell, dated of 1907. This transcription, it was done by the Journalist and Writer B. Hamilton Almeida and it is part of the biographical book of his responsibility on Landell of Moura, entitled "THE OTHER SIDE OF THE TELECOMMUNICATIONS". The notebook"A", met now, available in the Historical and Geographical Institute of RIO GRANDE DO SUL, together with other documents, that prove this Brazilian cientist's grandiosity. 1–the whole body is as that involved of an element in a vaporous, denser way according to the nature or the individual's state or atmosphere that he is. That element, when acquires a tension capable to win the obstacles that it is opposed to its expansion, flow of the human body under the form of silent or "disruptiva" discharges, just as as it happens to the electricity. It is the phenomenons on these occasions they happens, has a lot of analogy with the electric ones static and dynamic, with relationship to the other ones similar bodies. 2–for that I reached the conclusion that is a phenomenon that constitutes a variety of the phenomenons produced by the electricity or for the cause of the electricity, of the heat, of the light, etc. 3–in every case, to facilitate the study of the R element that exists in the human body, I attribute it to the "PERIANTO", because, as its name is saying he is an effect of the R element, as the tension electric it is an effect of the electricity that accumulates in the drivers' turn. 4–I cannot attribute it to the existent electricity in the human body because, as we will see in another places, if on a side it offers a lot of analogy with the electricity, on the other hand it comes with a certain characteristics that forced me to distinguish it, or to give it the name of "PERIANTO" to the effect and to the cause of the element R, that is, of the relationship life between the superior and the inferior psyche. 5–"PERIANTO" is for itself invisible; but, through certain lights, it can become visible, and even be photographed, if we use or we insert among the body, whose "PERIANTO" studied, and the special light, a board or appropriate paper. 6–a small animal, preferably of short hair, put in these circumstances and inside of a appropriate tube, if meantime to a pneumatic machine to mercury goes being made the vacuum little by little, we will see, when the animal stays quiet, in agony state, that it will be drawn in the board, under it vaporous form, the illustration of the animal. We will see more, that, when expiring the same, that vaporous form, will rise in the board. 7 - it can also be seen directly when, by means of certain lights, if it can get the phenomenons of the interference of the rays. And there are cases in that, when the condensation becomes very dense, with right and certain lights, removing the animal, we wil see, for instants, his "PERIANTO", forming a duo of him, that, not rare sometimes, instead of coming under the white vaporous form, it is shown with pact and coloring, with the natural colors of the animal, also owed to the light. The one that it proves that PERIANTO is due to a vibration of a subtler element than the air. that, if this individual is under the action of the hypnotism of any other state abnormal capable to change it the personality, its "PERIANTO", in this case,it will present the features of the personality that he supposesto be in the moment. that, probably, the phenomenon of the "bilocation" has its beginning in the condensation of "PERIANTO", as the phenomenon is operated naturally, a lot although for laws not yet very well-known. And many other phenomenons as the one of the hypnotism, of the magnetism, of the spiritism, of the dreamsin action, of the "sonambulism",etc. Father Landell was not alone in the theory. He got to photograph the effect. And he wrote: " The human racioactivity exists, as the friend can verify examining these x-rays produced by the radioactivity of my thumbs. To the cause of the human radioactivity, I gave the name of "estenicidade", to distinguish it of the electricity, very auspiciously resembles each other. Enter the emitted irradiations for my thumbs, has some endowed with a power "indutor" and of penetration. This x-ray, a lot before entering for the developing bathing, it already showed the contours and shades produced by the radioactivity of the body. (illegible), etc. " Landell also affirmed that: " The Radioactivity of the human body, as the electricity, cannot to be transmitted through a metallic thread and to impress a foil in the receiving station. The Kirlian effect or Landell effect, photographs the reflex that the waves of high frequency cause when they happen on any life form or I object to be photographed. This electric incentive turns visible the energy that surrounds the physical body and the object to be photographed, usually invisible to the human eye, this energy is known by the "esoterists" as Breeze and for the cientists as "bioplasmatic body". The Kirlian effect or Landell effect, nowadays it is recognized by the science, it finds opened doors in the Association North American of Medicine, in the Army and in the Navy of United States. In Russia, the Kirlian effect or Landell effect are used to identify plagues in the plantations, to identify seeds of bad quality, improving the amount in the crops of cereals. In Brazil, the diagnosis "Oncológico Kirliangráfico" already exists, based in the works of the Drs. Júlio Grott and Hélio Grott Filho, of the Hospital of the armed forces of Curitiba. This work was published in the Edição Técnico–Scientific number 04, of outubro/dezembro of 1987, for the Hospital of the armed forces of Brasília, being this the first official organ to publish it referred matter in the South America. to evaluate, in the children, the consequences of the conflicts among the parents. This true tool of the science, the electrography machine ( Kirlian effect or Landell effect), stillhas a grandiose destiny to execute in a close future, advanced by the science through the North American Dr. Richard Gerber, one of the largest authorities in Medicina "Vibracional" at the present time. According to him, " the beginnings learned starting from the technique of images by Magnetic Resonance, combined with the information provided by the Kirlian photo or Landell photo electrography perhaps they can produce in little time one of the largest revolutions in the area of the accomplishment of diagnoses: the formation of images of the human subtle energy anatomy, qualifying the doctors of the new was she they find the true precursors of the disease and of the health and not just the consequences of a destruidor process of disease, one combination of the systems of formation of images for Magnetic Resonance, Tomography computerized and Electrography will allow to leave besides the current technologies of the Resonance ans to penetrate still more in the human beings subtle energy structure (1977)." Kirlian Photo or Landell Phto is a technique recognized by the science, as electrography it is developed with pioneer in RIO GRANDE DO SUL, for the researcher and teacher Vânia Maria Abatte, there is more than 15 years, where it develops researches and studies inside of the areas of the psychology of the exercise with relaxing techniques, "bioenergética", chromoterapy, parapsychology, "psicobiofísica" and in the activities and behaviors of the fields of subtle energy in the human organism. 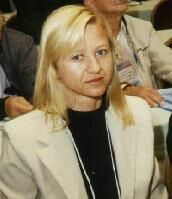 Technique specialized in Kirlian Photo, or Landell Photo,Vânia Maria Abatte, she is also formed in Physical Education and Postgraduate in Psychology of the Exercise for the Federal University of RIO GRANDE DO SUL. (UFRGS). Now the researcher and teacher, develop individual attendances in NEP–Nucleus of Studies and Researches. The attendances are marked through the phone (51) 3212 5191–center - Porto Alegre. To do its photo breeze, or Kirlian /Landell, you just spend of its time, 1 minute, pays a X value, and comes back after 1 week for the verbal interpretation and for writing with the diagnosis of its health: physics, emotional, mental and spiritual. If there is need of recommendation for treatment, as well as, medical, psychological treatments, alternative therapies (Reiki, massages Shiastsu, Yoga, meditation, chromoterapy, floral, etc.) physical activities and other orientations plus, be calm, that will have all the information and necessary directions. The remaining it will depend exclusively on you. Recently, Vânia Maria Abatte, accomplished unpublished exhibition in the state, in to City councils of Porto Alegre, they were exposed photos Kirlian/Landell, of main cases and people's registrations healthy, sick, as well as of animals, vegetables and you put. It demonstrated the electrography technique and did pictures in the place. Discover through its photo breeze, as its health, its energy walks. Give to itself an opportunity to know you better. Always remember, that we are not just a part, a member and yes one completely of that part, of that small member.